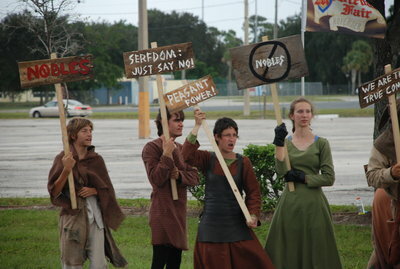 The peasants of the Sarasota Medieval Fair demonstrated recently on Fruitville Road in front of the Sarasota fairgrounds with signs preparing onlookers for this month’s festival and its scenario — The Peasant’s Revolt of 1381. With picket signs, farming implements and angry fists flying history repeats itself this year at the 8th Annual Sarasota Medieval Fair as peasants cry out their concerns, waving at passers-by and anyone that will listen to them. Photo of peasants protesting by Doug Driscoll of WMNF Community Radio. Doug Driscoll of WMNF Community Radio was on hand to listen to them and recorded this interview: WMNF Interview with Peasants. The Sarasota re-enactment of the Peasant Revolt of 1381 began Saturday, Nov. 12 and will continue one weekend more — from 10 a.m. to 6 p.m. Saturday, Nov. 19 and Sunday, Nov. 20. New this year will be the performing act Acrobellum. Peasants, beggars, jousting and human combat chess matches are just a few of the things you will encounter at the fair — check out the image gallery from the opening weekend compiled by Ticket Sarasota. 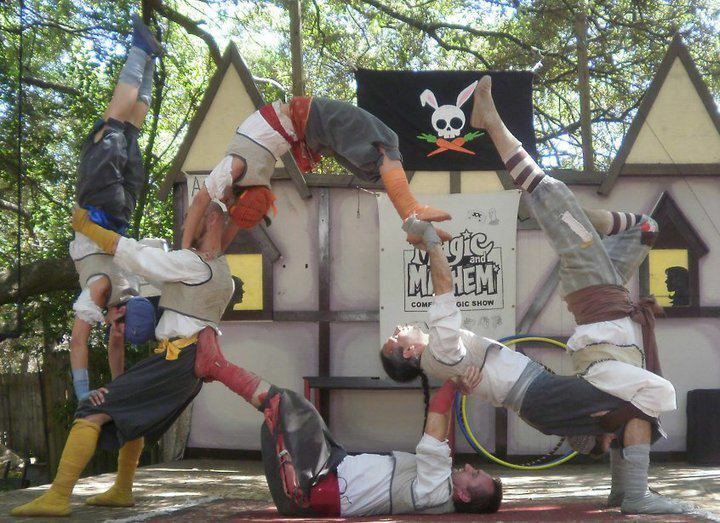 Come live the majesty, chivalry and madness at 3000 Ringling Blvd., Sarasota. Last week we talked about motte and bailey castles, the first kind of castle in medieval times. 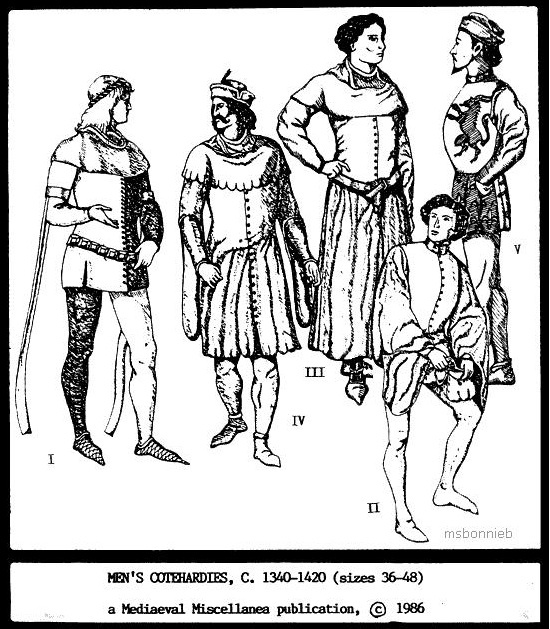 However, like all technologies, castles changed over time. A more familiar kind of castle to you would probably be a concentric castle. A concentric castle is most easily described as “a castle within a castle”, as they were built with a relatively thin outer wall, and then a thick inner wall consisting of the actual castle. The first one was built under King Edward I (an ancestor of Richard II, our king this year) in 1278, and he employed the best architect of the times, Master James of St. George, to build it. Of course, in order to get through the walls, one must first be able to get to them. However, t he enemy would first have to get past the moat, which surrounded the entire castle. The concentric castle featured other strong defenses as well, including the drawbridge, the portcullis (a latticed, iron or wood door that could be raised or lowered to provide entry into the castle), gatehouses, and even traps. The inside of the castle was rather sophisticated. The use of chisels instead of axes to build castles led to more intricate designs in the castle, and there was even evidence of plumbing and piped water in concentric castles. Concentric castles were also the first castles to have glass in their windows, which were often painted. 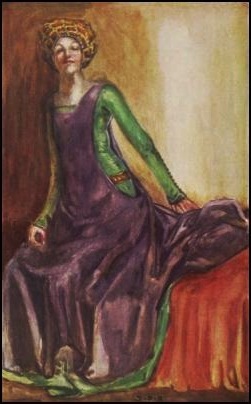 Fireplaces and chimneys were also introduced into castles, those who funded the building of these castles even employed artists to decorate the walls. As you can see, concentric castles are much different than their motte and bailey predecessors. If you want to compare and contrast the two kinds of castles and you missed our blog post discussing motte and bailey castles, you can find it here. Did you know that the Tower of London, the building in which the Archbishop of Canterbury, the Lord Treasurer, and other nobles were hiding, is actually a castle? Yes, despite having the word “tower” in its name, the Tower of London is a veritable fortress. 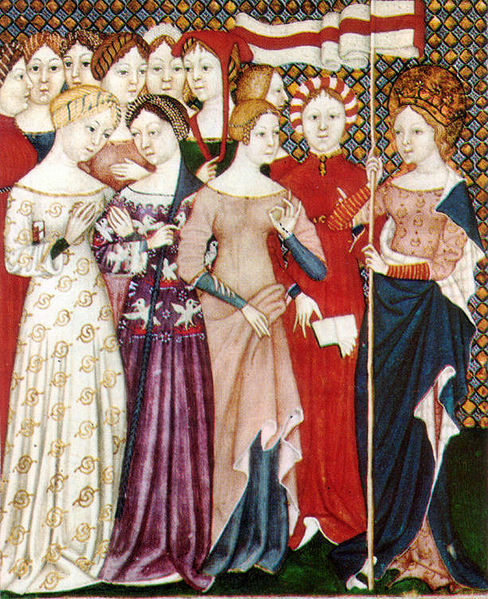 Castles in medieval times were an important part of any community, but it wasn’t always so. Until the year 1066, there were no castles. So what was so special about 1066? Well, those of you well versed in history (and those of you who have gone to past fairs) probably already know that 1066 was the year William the Conqueror took control of England from King Harold. He built castles as bases from which he could subjugate the English population. However, these original castles were built in a motte and bailey style. The motte and bailey castles had a few interesting features one doesn’t think about when you think of a castle. 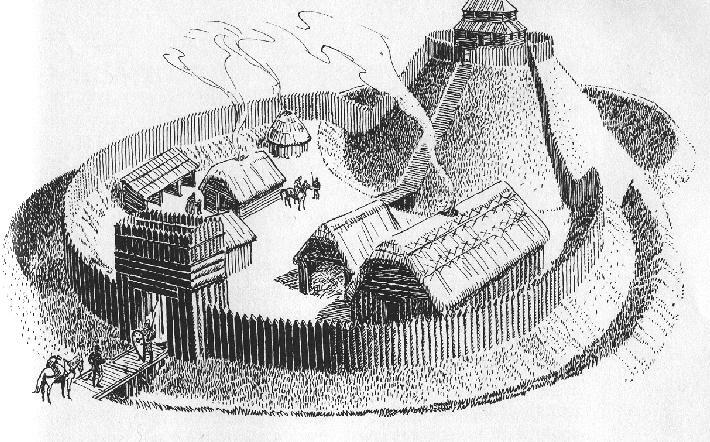 The foundations of a motte and bailey castle were two mounds of earth built extremely high (50-120 feet), and rather wide (from 50-300 feet in diameter). This is called the motte. An interesting side effect of creating these mottes were that it created a convenient defensive ditch. After all, all of that dirt had to come from somewhere. This ditch enclosed the bailey, a defended yard which contained many of the staple buildings of castle life, such as stables, barracks, food storage buildings, and also contained weapons and equipment. A large wooden gate with guardhouses on either side served as the entrance to the bailey. The crowning piece of the castle of course, is the tower (or keep). This wooden (and later, stone) tower served as a watch tower, an elevated fighting station, and as the living quarters for the resident lord or knight. These towers were generally two to three stories tall, with the first floor serving as the kitchen and storeroom, the second floor housing a “great hall”, and the top floor serving as the actual living quarters for the lord or knight. Obviously, the motte and bailey construction of castles didn’t stay with us forever. People soon realized that wooden castles were not exactly the most sturdy, but in order to find out how we got to the castles we know and love today, you’ll have to wait until next week.